That is an important question. Because, according to Obama’s leftist ideology, deficit spending should greatly increase economic activity. Yet, economic facts clearly prove, in fact, no reasonable person could argue the opposite, that there is correlation between Obama’s unprecedented levels of deficit spending and positive economic activity. In fact, it is clearly evident that there is an inverse relationship between Obama’s profligate spending and economic activity. Just the fact that unemployment is still above 8 percent and that real unemployment is over 14% should lead any reasonable person to come to the conclusion that four years of massive deficit spending has been an outright failure. 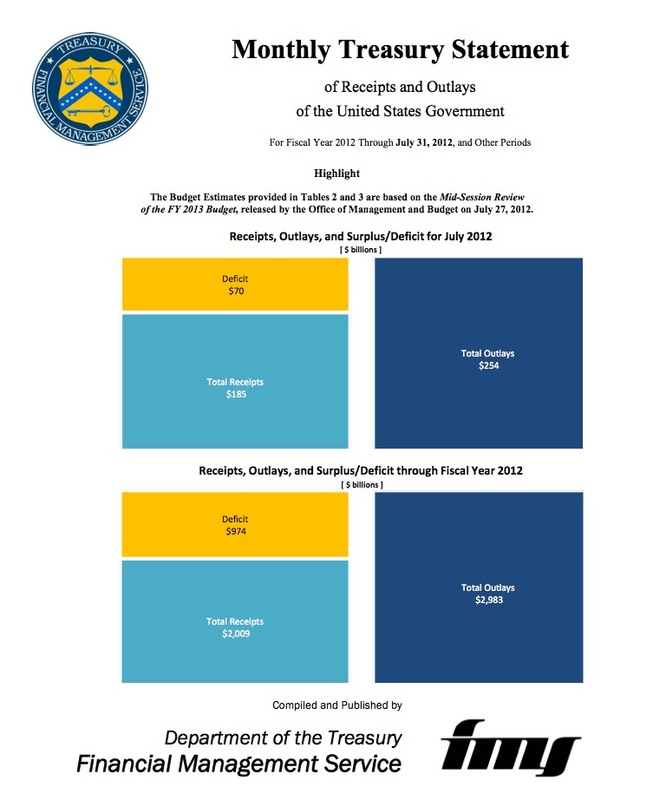 From the Treasury Department, we find out that in July, our nation overspent by some $70 billion. Do you want it more bluntly stated? Then here goes: Massive welfare programs do not create jobs and that folks, is what all this spending is about. Welfare is the heart and soul of the Democratic Party’s agenda.